KBFF is excited to announce the launch of our social floorball sessions. 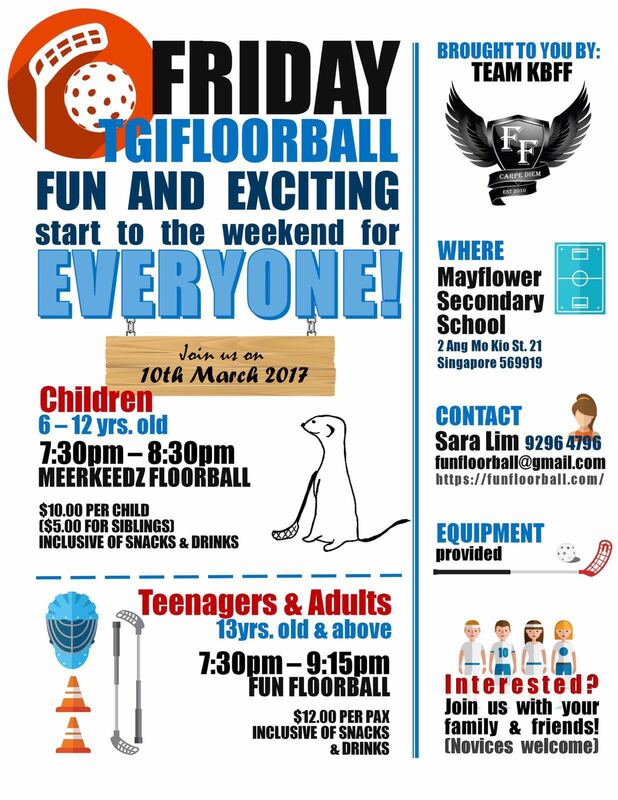 #TGIFloorball is open to all aged 6 and above. So gather your friends (or come alone if you don’t have any. We’re very friendly people) and join us this Friday, 10th March, 7.30pm, at Mayflower Secondary School. Just drop a text to Sara at 92964796 to rsvp or to find out more. Previous Previous post: Happy International Goalies Day!